When my friends Wendy and Greg handed me a gorgeous, huge red cabbage from their garden a couple of months ago, Greg told me he loves to make red-cabbage sauerkraut. The Pickle Lady was humbled; I’d never made or even tasted sauerkraut from red cabbages! Now I knew what I would do with my beautiful cabbage. I decided to take as my model a low-salt red-cabbage sauerkraut recipe from an odd little Canadian cookbook, Making Sauerkraut and Pickled Vegetables at Home. I cut the head fine, using a mandoline, and mixed the shredded cabbage with some apple and onion slices, a bay leaf, caraway seeds, and juniper berries. As always in making sauerkraut, I tossed the mixture with salt and packed it firmly into a crock. But several hours later the cabbage had released almost no juice. This was problematic; when you’re making sauerkraut, the cabbage must be well covered with liquid to keep from rotting. The Canadian authors, warning that red cabbage is “a very hard vegetable,” suggested pressing “thoroughly with a potato masher,” but this didn’t work for me. I could have added some brine from one of the big jars of fermented pickles in my garage refrigerator, following another suggestion from the Canadian authors, but then the sauerkraut would have tasted of dill and garlic. A final suggestion from the Canadians was to add whey, strained out of buttermilk or kefir, which they said would jump-start the fermentation. That sounded to me like an unnecessary bother. So I decided to add fresh brine–that is, salted water. Two weeks later, I pulled from my crock heaps of gloriously hot-pink, tart, delicious sauerkraut. Here’s the recipe. You can add more spices or leave them out, as you prefer. In a large bowl or stockpot, thoroughly mix the shredded cabbage, apple, onion, bay, caraway, juniper berries, and 1 ½ tablespoons salt. Pack the mixture firmly in a crock or gallon jar. Wait an hour or two for the salt to dissolve. Stir the remaining 1 ½ tablespoons salt into the water, and keep stirring until the liquid is clear. Pour the brine over the cabbage mixture. Lay the whole cabbage leaves on top, and add weights. (I used the weights that come with a Harsch pickling crock. With an ordinary crock, cover the cabbage with a plate that just fits inside the crock, and weight the plate with a capped, water-filled glass jar. If you’re using a gallon glass jar, weight the cabbage with a freezer-weight plastic bag filled with brine in the proportion of 1 ½ tablespoons salt to 1 quart water.) The cabbage mixture should be well covered with liquid. If it isn’t, add more brine in the same proportion. Keep the crock or jar at warm room temperature for two to three days, until fermentation gets underway, and then set it in a cooler place. If you’re using an ordinary crock, you’ll need to skim the brine occasionally. Begin tasting the sauerkraut after two weeks. When it’s as sour as you like, transfer it to a clean jar, and store the jar in the refrigerator. If you like, you can freeze some of your kraut in plastic bags, rigid plastic containers, or glass jars. I don’t recommend canning it. Although with the addition of brine my recipe is saltier than the Canadians’ version, the sauerkraut will still be less salty than the USDA approves for canning. This entry was posted in Fermented foods, Pickles, Vegetables and tagged cabbage, food, kraut, pickles, recipe, red cabbage, sauerkraut. Bookmark the permalink. A friend just gave me a red cabbage from her organic garden. What a perfect thing to do with it- make pink sauerkraut! My husband loves it and I haven’t been able to make it fast enough for him, let alone try canning any in a water bath. 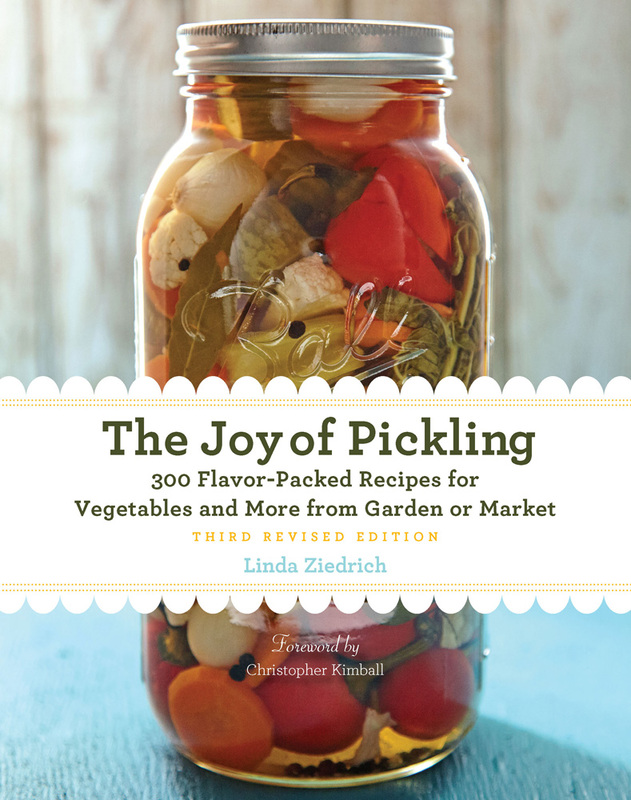 I have a batch of mixed fermented vegetables going, recipe from your pickling book. The liquid has gotten cloudy and I’m not sure why. I read it could be from the salt, but I used kosher salt, which I don’t think would cause it. Any ideas? It’s been fermenting about 8 days now. Thanks! The liquid is supposed to get cloudy. When you’re fermenting vegetables, cloudiness is a sign of good bacterial action. 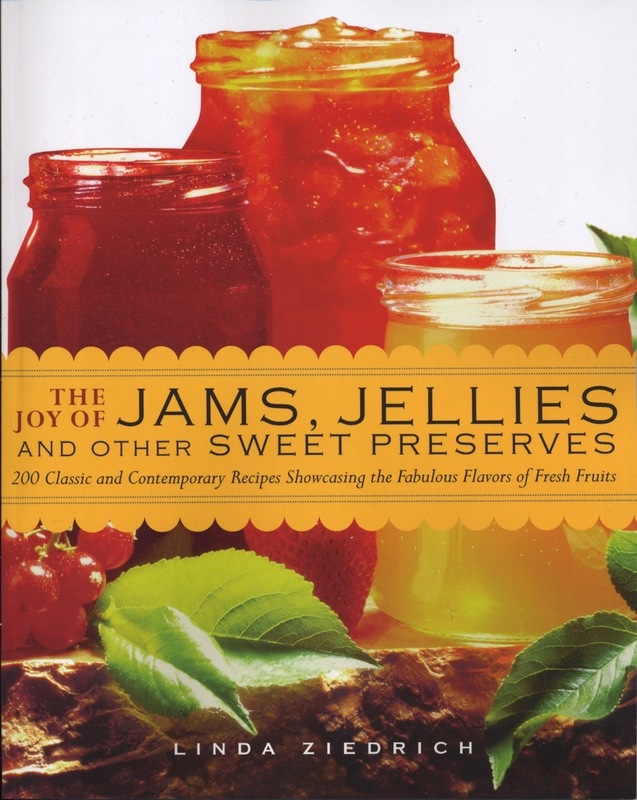 When the fermentation stops, the particles gradually settle out, but the liquid clouds again when you jiggle the jar. How lucky for your husband to have homemade sauerkraut, and how lucky for you that he loves it! I made a batch of red kraut using 3 lbs of Cabbage to 2.7 tbsp salt. It’s so salty, it’s uneatable… I grew up eating traditional russian kraut and it’s not supposed to be so salty… Everywhere I read states 1 lb cabbage to 1tbsp salt (I guess b/c of USDA), but Europeans ate their kraut for centuries with a lot less salt, so it must be possible. Any suggestions on more reasonable ratio is appreciated. I have a second nice cabbage to deal with. Olga, the USDA recommendation is 3 tablespoons fine salt for 5 pounds trimmed cabbage. That’s a lot less salt than you used. Remember, too, that this is a recommendation for canned kraut. You can use less salt if you prefer; you won’t have to worry about safety if you store the kraut in the refrigerator instead of canning it. Steve Solomon, the founder of Territorial Seeds, says he makes sauerkraut all the time without adding salt at all. I got my mom to dig up an old russian book and look it up, and there it states 1 kg of cabbage to 25 gr of salt (so 2.2 lbs to 1 tbsp) Sounds more palatable, but it’s good to know that you could go even less salty. Thanks again.